A solid grip on the Indian auto market, the renowned auto maker has silently launched its new generation of much awaited facelift version of SUV Aria. Based on Tata Xover concept the SUV was first launched in 2010 at the Delhi auto expo. Currently the company is selling Aria in three variants, which are Pure LX, Pleasure and Pride for the buyers to choose from. The front facade, the radiator grille is quite large and fitted with three chrome treated slats. There is a prominent insignia embossed in the center of this grille. It is flanked by stylish headlight cluster. The windscreen is quite large and made up of toughened laminated glass. This muscular vehicle is designed with an overall length of 4780 mm and has a decent width of 1895 mm including both external rear view mirrors. The total height of 1780 mm and a wheelbase of 2850 mm gives a comfortable riding experience to the occupants. The standard 16-inch alloy wheels further adds a significant character to the side profile. What To Opt For: The Aria hold some expensive exterior parts which needs to be covered by the owner and in addition to this, a complete damage cover will again act as a wise decision for the kind of SUV it is. This luxurious SUV is blessed with a number of comfort features that results in a pleasurable driving experience. Aria is bestowed with an advanced 2-DIN integrated audio unit that keeps its passengers entertained all through their journey. The cabin is incorporated with well-cushioned seats, which are integrated with adjustable head restraints. The driver's seat comes with six way adjustable function and has lumbar support as well. The top end variant is blessed with a multi functional steering wheel, which is mounted with audio and call control buttons. What To Opt For: The luxurious equipments deployed in the SUV generate a need of insurance cover for the same. However, considering the safety equipments of the SUV overlooking anti-theft insurance may be an optimal decision. 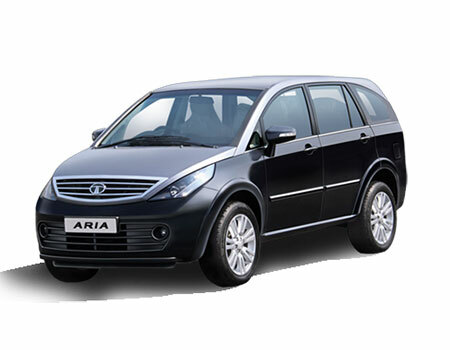 Being a luxury SUV, the Aria face a tough competition from the Japanese automaker's Innova and considering the overall price range of the vehicle, a complete damage cover insurance along with an invoice cover will be a wise step.